work making safe, lasting repairs or full system replacement. 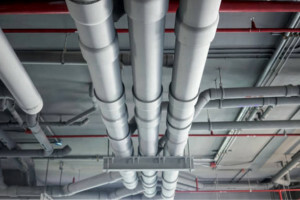 It can sometimes be difficult to tell if what you’re experiencing is a minor plumbing problem, or a serious water or sewer line issue. However, if you’ve noticed any unpleasant and unusual smells, sewage backups, or standing water in your yard, it’s possible that you’re dealing with a serious problem. At Definitive, we offer a comprehensive range of sewer and water line services to address any issue you may be facing. We understand that sewer and water line problems are incredibly unpleasant and stressful, which is why we strive to make your service that much easier by offering non-destructive, trenchless methods, as well as upfront pricing. 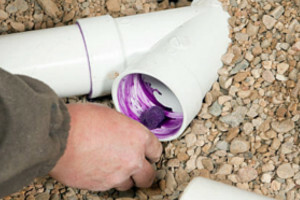 Traditionally, sewer and water line inspections, repairs, or replacements required a certain amount of guesswork. 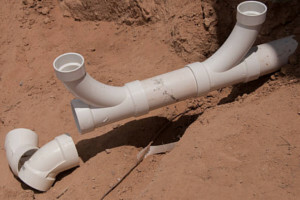 Many plumbing companies still tear up homeowners’ yards as they blindly look for the source of a sewer problem. Not at Definitive! We’re proud to rely on state-of-the-art equipment and advanced tools, including cameras that allow us to provide non-damaging sewer inspections and services. This helps minimize destruction to your landscaping, driveway, sidewalk, and other areas of your property and allows us to provide you with a more accurate, guess-free inspection. and upfront pricing in writing so you know what to expect. All of our technicians undergo extensive training, including mandatory technical training hours every year, in order to provide you with superior service every time. Past Performance Rated "Outstanding" by our Clients! "Keon and his team were on top of it from the beginning. I was greeted well over the phone, and felt as if Keon was invested in my problem before being hired for the job." "Definitive Plumbing and Heating provided prompt and excellent same-day service. Very professional!" "I was extremely impressed, they were prompt, courteous, and professional if you need plumbers ask for DJ and Keon." "Everything went extremely well. They were punctual, which I really liked. Cleaned up after themselves which I also liked. Very professional and courteous. This is my second time hiring this company. I would definitely hire them again. Thanks Definitive,"
"Service was excellent. They were prompt, professional and diagnosed and replaced my toilet the same day. and, they left the bathroom spotless. 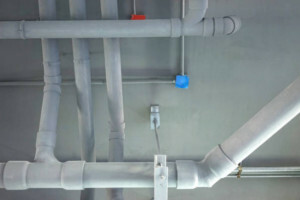 I would definitely use Definitive Plumbing again." "I was thoroughly impressed with the punctuality, professionalism, and responsiveness of the representative from Definitive Plumbing. Both issues were fixed immediately and I have not had any issues since then. Would definitely recommend to a friend." "The price was fantastic, and the guys from Definitive were able to start right away. They worked extremely hard to finish the job and did not cut any corners. I was extremely impressed from the first time they came to give an estimate, and they continued to impress throughout the whole job." "If I could give DJ and his team a 100 stars-- I will. They were punctual, very patient ( they waited in their van for over 2 hours waiting for the WSSC personnel to show up). They went over and beyond what was expected. My family constantly talks about the dedication and patience of these men throughout the period WSSC needed to fix the water main problem." Copyright © Definitive Plumbing & Heating. All rights reserved.